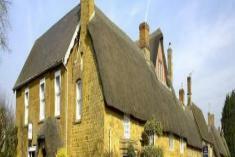 Best Western Plus Wroxton House Hotel Banbury, Hotel England. Limited Time Offer! Best Western Plus Wroxton House Hotel. 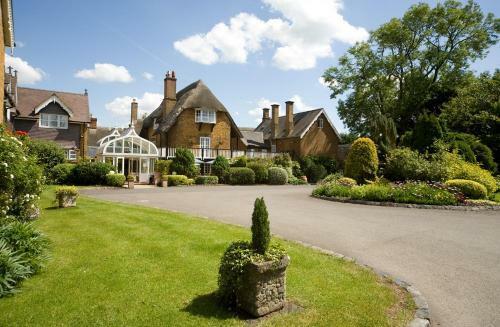 "Best Western Plus Wroxton House Hotel" is a manor that has acquired 3 stars. The residence is especially popular among families and it is an ideal pied-a-terre from which visitors can explore Banbury. If you are in search of an original ambiance, this accommodation would be a good choice. The decor of the edifice is at the heart of the residence's romantic feeling. A total of 32 rooms is featured. The rooms are all contemporary. By taking part in birdwatching you have the opportunity to make your stay more active. For visitors who like participating in some sporting activities, the residence also offers pilates, yoga, horse riding, golf and tennis. Furthermore, "Best Western Plus Wroxton House Hotel" features a gym where you have the option to exercise on your own. This hotel has its own restaurant. For a drink before or after dinner, guests can take a seat at the bar. Internet access is offered free of charge. This thatched Cotswold hotel is a tranquil country house with a peaceful, historic setting 5 minutes from Banbury and junction 11 of the M40, within easy reach of Stratford-upon-Avon and Oxford. + Very nice hotel. Room and en-suite bathroom were warm and comfortable. Everything worked. Room service dinner was very good as was the breakfast. + The hotel is in an a nice village and well positioned for touring the local area. - The evening meals were expensive (£25 for 3 courses), so we ate out. The bar prices were also expensive. There are 2 local pubs but they are limited in terms of food and once again drinks were expensive. + The evening dinner was superb & excellent value. The service in the restaurant was very good. + Very Peaceful. Food was excellent and the staff were curtious and happy to help. Service and presentation of food was faultless. + good staff! very well trained and turned out, pleasant and helpful. - Black out curtains/blinds needed (every hotel I have stayed in falls short on this point), doors that don't let in blinding beams of light at floor level.